Good morning, here’s your daily SUP briefing for Saturday October 27th. 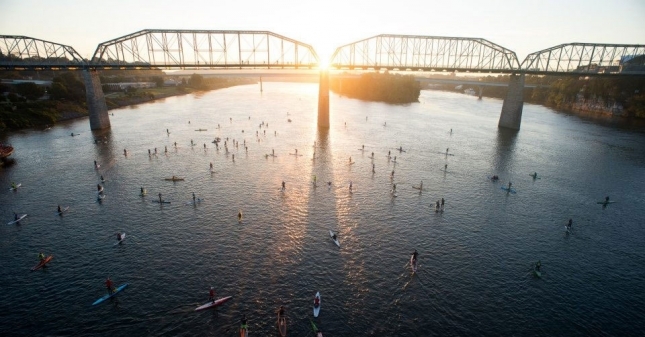 It’s race day in Tennessee, with over 500 paddlers getting ready to begin the 7th annual Chattajack marathon along the Tennessee River Gorge. The course is 31 miles (50kms) — one of the many reasons I like to call it the “Inland Molokai.” Larry Cain is going for an incredible fifth-straight title, while defending champ Seychelle is hot favourite in the women’s. It’s race day at the 14ft French National Titles in Hossegor. The nation is home to arguably the strongest field of talent in the world of paddling right now, and I’d expect the team to start slight favourites at the Worlds in China next month regardless of who qualifies. We’ll have results on Sunday morning (and follow the French Surfing Federation on Facebook for regular updates).